The extension of the August Horch Museum in Zwickau, Germany, was planned with the elegance of Horch vehicles in mind. 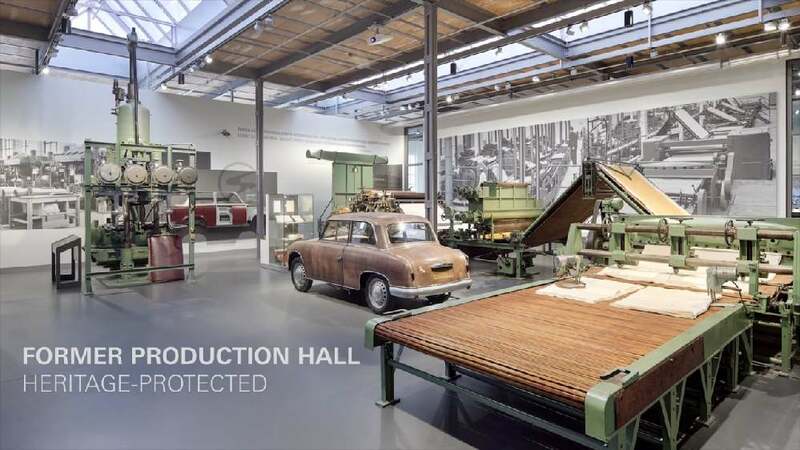 Located on the former factory premises of the Audi and Trabant brands, a restored historic production hall offers expanded exhibition and event space. Complementing and connecting the restored production hall with the already existing historic ensemble, a new interposed building was erected that interprets the industrial surroundings. Its architectural language is inspired by the motifs of high-quality design and serial fabrication in automotive production.